When it comes to the shooting of sports videos, I believe that a series of super-dynamic shots such as skateboarding, parkour, skiing, surfing, etc. will appear in everyone’s minds. Compared with ordinary video shooting, sports videos are obviously more eye-catching. Most sports fans are I am good at using the motion camera such as GoPro to record the thrilling moments. If you ask them what is the most important thing in sports video recording, I believe everyone will tell you – stability. The stability of the picture not only brings the film-level picture quality, but also makes the wonderful moments in the motion realistically presented, and the secret of making the picture stable is actually the best companion for the sports camera – the stabilizer. 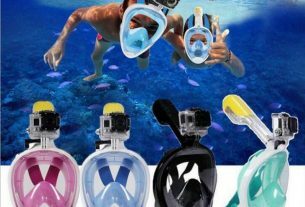 At present, there are many sports camera stabilizers on the market, but the quality is often uneven, and most of them are gradually eliminated by the market. FeiyuTech from G4 to G5, each generation of G series sports camera stabilizer, relying on its powerful performance and stable quality, has become the artifact of countless sports video enthusiasts. Today, FeiyuTech G series sports camera stabilizer is a new generation product FeiyuTech The G6 was listed on April 16th, and the FeiyuTech G6, which sold for RMB 1299, once again became the “powerful” of the sports camera stabilizer field. The newly launched FeiyuTech G6 has a comprehensive upgrade on both ends of the hardware and software. The best is its convenient handling. The FeiyuTech G6 with WIFI+Bluetooth dual module can pass the GoPro and other sports cameras. The side screen cut-screen button realizes one-key switching between parameter adjustment and working mode. Compared with the cumbersome switching process of most brands, this time, the FeiyuTech G6 truly achieves the control of the horizon. At the same time, the new generation of FeiyuTech G6 is also an epoch-making new OLED display. The original exquisite eye will help users to more clearly control the existing ones through the display of camera parameters, stabilizer mode, Bluetooth connection and so on. Shooting status. In addition, the FeiyuTech G6 has also comprehensively upgraded the control algorithm. The reconstructed system algorithm brings higher performance and lower power consumption, and the motor torque is increased, which makes it more stable. The function is exponentially enhanced, helping users to achieve a film-level stable picture quality more smoothly and efficiently. Thanks to the new algorithm architecture, the FeiyuTech G6 is designed with the newly added elevation angle, which not only has the clear and complete composition effect of “what you see is what you get”, but also the pitch axis. With no-angle rotation on the heading axis, it can bring new visual horizons to sports video enthusiasts through the free-looking shooting angle. The newly-launched FeiyuTech G6 continues the FeiyuTech G5 geek gene in its appearance. The all-metal material and water-repellent design are sufficient to meet most environmental challenges, capturing exciting moments anytime and anywhere; large battery capacity can not only bring With up to 12 hours of stable battery life, you can also power your GoPro and other sports cameras through its own power supply interface, always in full condition, from sunrise to sunset. In addition, its rich expansion and tuning functions will also help users unlock more usage scenarios. FeiyuTech G6 sports camera stabilizer can bring such amazing performance, and it is inseparable from the technology precipitation behind FeiyuTech Technology for many years. Founded in 2007, FeiyuTech Technology is a veteran powerhouse in the camera stabilizer industry. The technical ability and research and development capabilities have created countless “explosive models” products. 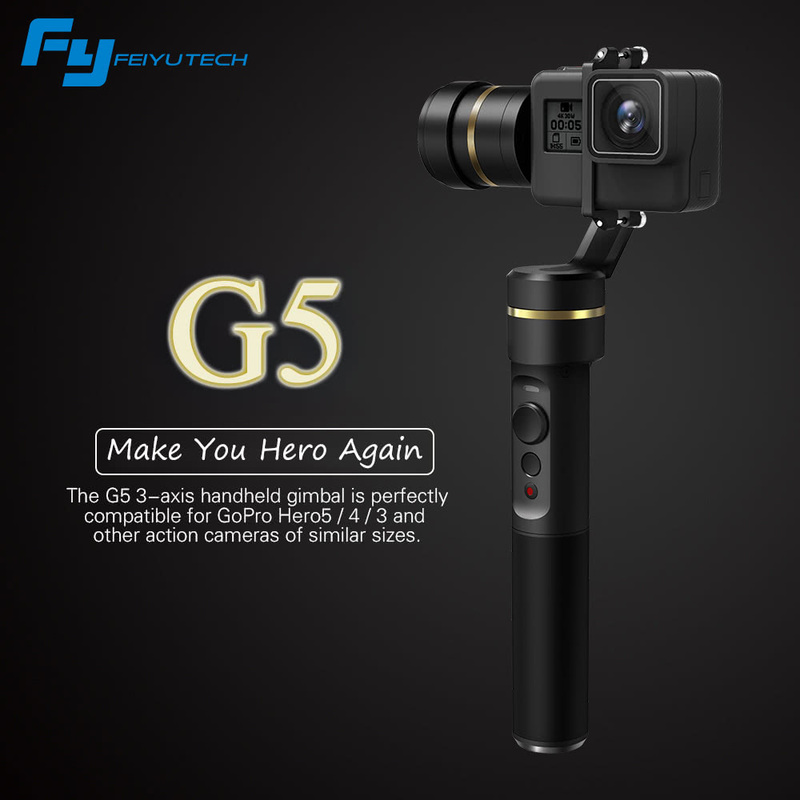 At present, the new FeiyuTech G6 sports camera stabilizer (GoPro HERO6 / HERO5 / HERO4 / HERO3+ / HERO3 / small ant 4K / AEE and other similar shapes and sizes are available for mobile cameras that are perfectly compatible with GoPro, RX0, and small ant motion cameras. Sports camera, replacement of the optional RX0 fixture set for RX0 camera), has been fully registered online Jingdong, Tmall official flagship store; in addition, overseas and offline users can pass AliExpress, Amazon and fly Yu vertical station to buy the latest FeiyuTech G6, go to order, easily control your sports vision tour. The white-collar goddess is not enough for the MacBook? This GPD pocket notebook is more suitable for her! These equipments are essential for diving photography.